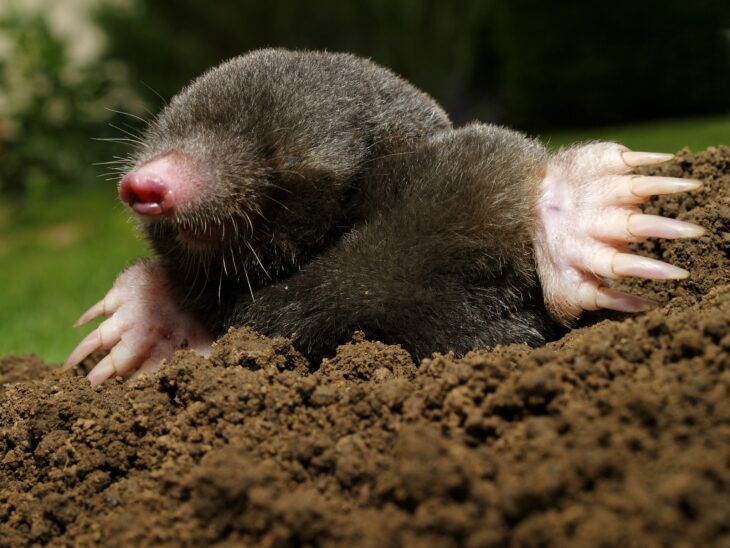 The molehills of the European Mole Talpa europaea are a very common site. Surprisingly they are very under recorded. 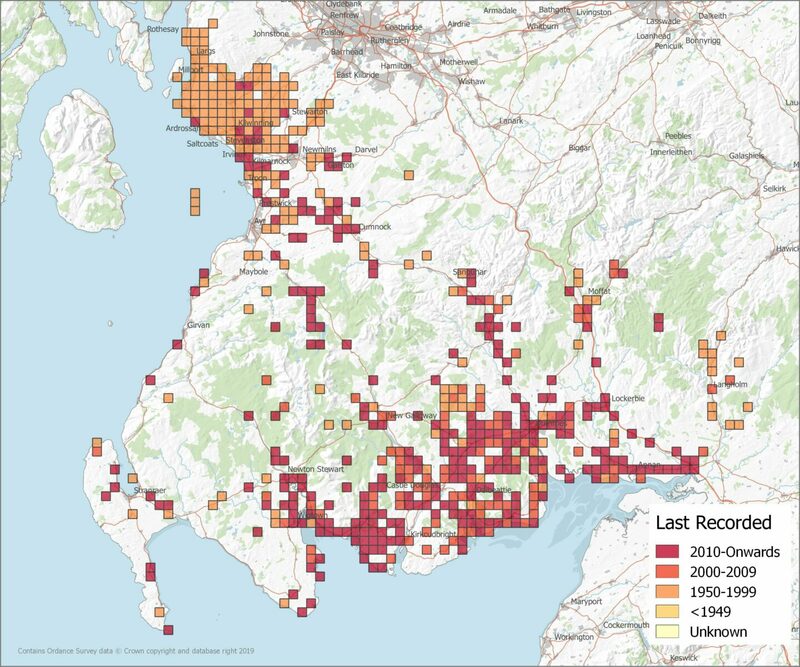 Recording sightings of both the animals and their molehills are important to help us learn more about them. They can be found throughout the UK in a variety of habitats that have deep enough soil for their tunnelling. Their main food source is earthworms which an average mole needs to consume around 50g of per day. Moles gather and store their live earthworms in a chamber underground. They have also been found to eat insect larvae in the summer months. The majority of a moles life is lived underground. They have temporary and permanent tunnels which they feed and live in. The more permanent ones are the deeper tunnels used for feeding and raising young in the nests. They are rarely found above ground but in the spring the young leave the nest and travel on the surface to find new territories. Identification: Short black velvety fur, tiny eyes & long sensitive snout. Spade-like forelimbs with large claws. Molehills: These are the small conical mounds of loose soil raised by burrowing moles when they dig to the surface. 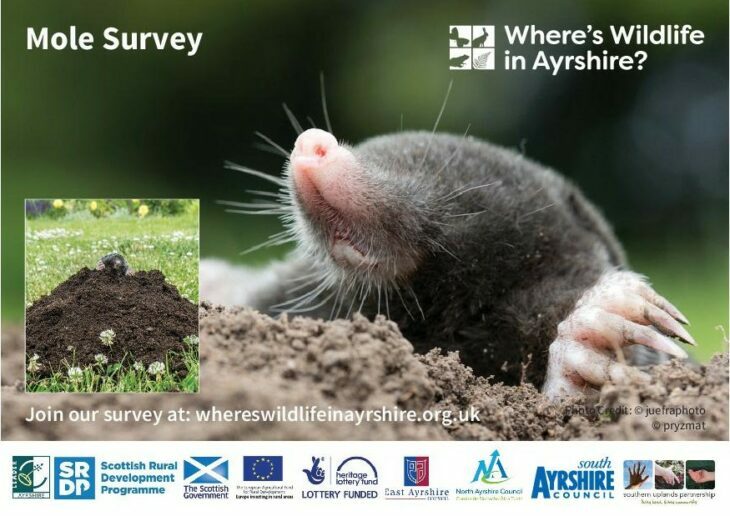 To find out more about Moles visit the Mammal Society.